This is fantastic story about young woman and handsome vampire, their meeting turns the entire world! In some village the witch turned one boy named Damon into vampire, but suddenly he meets another ordinary girl named Victoria in neighboring village, who tries to save her village. Play as Victoria and Damon and know how this story will end! 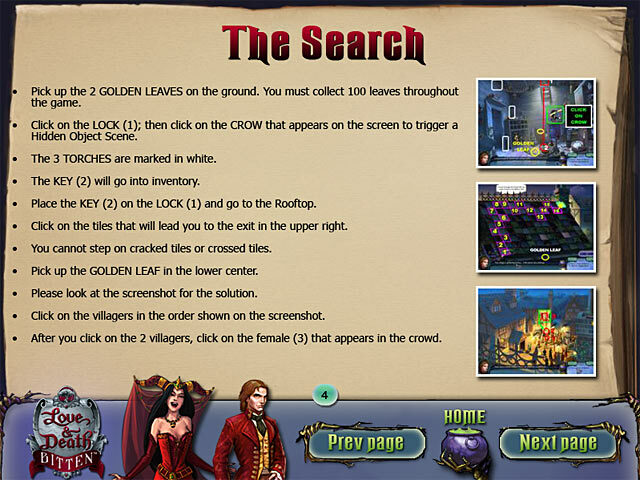 Visit different locations and solve many clever puzzles! 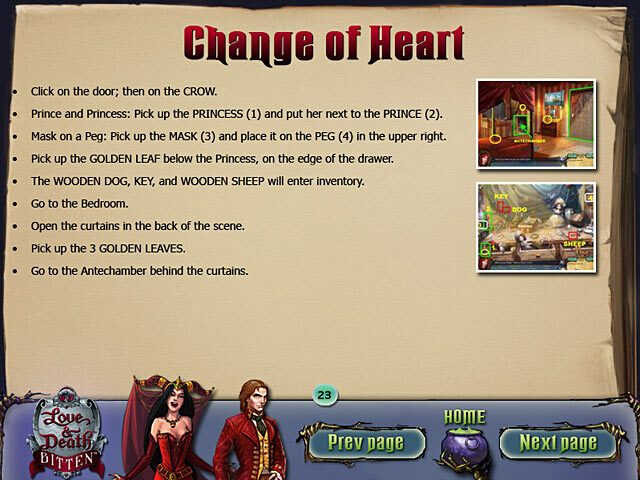 You may download free the hidden object game Love & Death: Bitten Strategy Guide and enjoy really exciting plot and well-done graphics! 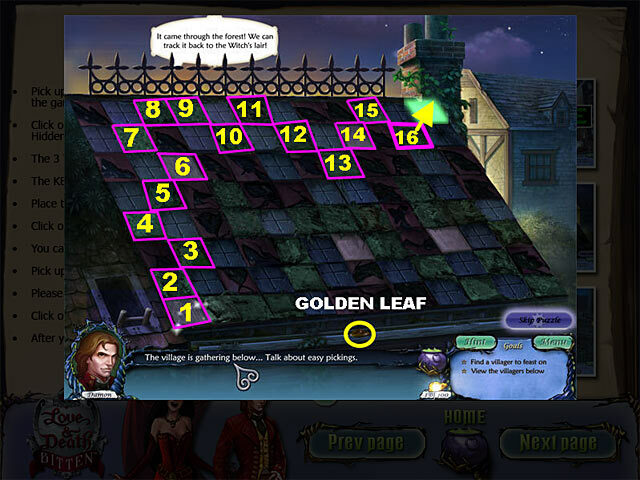 Use our Strategy Guide, which will help you in some different situations!